Two prominent Kannywood stars, Ummi ZeeZee and Zaharaddeen Sani, have threatened to drag themselves to the police over an alleged monetary gift from the presidential candidate of the Peoples Democratic Party (PDP), Atiku Abubakar, Premium Times reports. Representatives of Abubakar allegedly presented the gift after a meeting in Kaduna with Kannywood stars campaigning for him ahead of the February 16 presidential election. 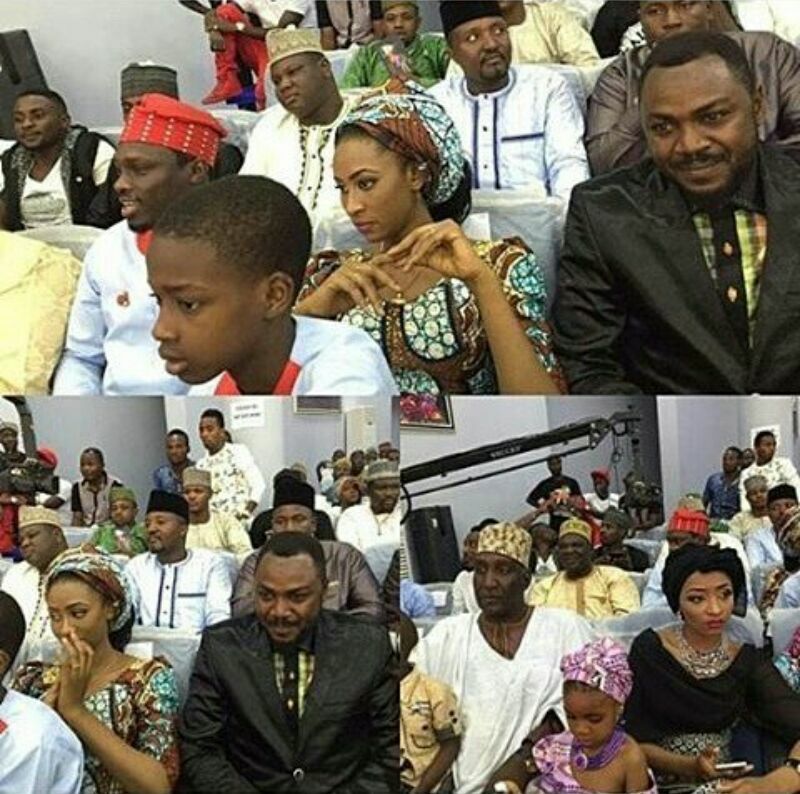 The Hausa movie industry is divided between supporting President Muhammadu Buhari or his main challenger, Abubakar. Celebrities such as Sani Danja, Al’amin Buhari, Fati Mohammed, Zaharadden Sani, Imraanaa Mohammed, and Yakubu Mohammed have been mobilising support for the PDP candidate among their colleagues and fans. On Saturday, January 26, the group held a meeting in Kaduna with top PDP members, including the Senate President, Bukola Saraki, who represented Abubakar. Immediately after the event, controversial Kannywood actress, Ummi ZeeZee, accused the organisers of cheating her and threatened to have them jailed. She said on her Instagram page that she was cheated out of her share of the largesse from Mr Abubakar. She labelled Sani Danja, Zaharadden Sani, Fati Mohammed, Al’amin Buhari, and Imranaa Mohammed as thieves who took money from Mr Abubakar’s entourage and shared it among themselves. I understand Atiku sent plenty of money to share for us. But all of you thieves walked away with the money and shared it among yourselves. Let me tell you, if not for my mother who begged me not to jail you all, I would have done that because you all don’t have the connection I have in Nigeria. “Zaharadden Sani called me after the event and send N25,000 to me as my share. Let me tell you Zaharaddeen, I am not a beggar and I am more than that amount you sent to me, you cheat. I want to warn you all that should anything like this happen again and you keep me off it, I will deal with you and I mean all of you,” she said. When asked what happened, Zaharadden Sani, popularly called Sarkin Yakin Atiku Abubakar, meaning chief campaigner for Atiku Abubakar, said that Zeezee is only a “ noisemaker”. Sani said ZeeZee was making noise because she could not make an impact anymore in Kannywood and was never part of Atiku movement in the industry. “I want you to know that I have reported her to the police in Kaduna and they have since issued an arrest warrant. I reported her for accusing me and my colleagues and labeling us as thieves.” She went on her Instagram page and accused me and my colleagues of hijacking funds meant for the Atiku movement in Kannywood. What do you have to say on this story? Please leave your comments below.